Happy Saturday folks! We have a terrific menu all weekend long with four, yes four, strains on special: Moby Hash Plant, O God, Ocean Grown, and due to the great response to our Strain of the Week we have kept AK47/AO on special as well. 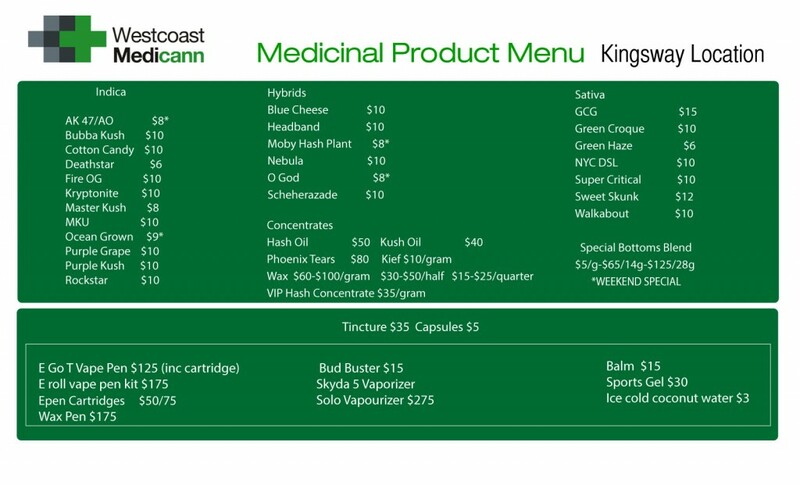 Don’t forget to check our Facebook page (www.facebook.com/WestcoastMedicannKingsway) for a promo code that gives only our FB followers that exclusive weekend special. Come by and say hello, cool off with some ice cold coconut water, and have a great pain free weekend!